The River Sheppey is a tributary of the river Brue. Previously known as Doulting Water or the River Brae, the source of the river is the spring that creates St Aldhelm's Well at Doulting. This joins with a number of other headwaters approximately 200 metres west of the source to form the main flow. Prior to the join are a series of ponds and weirs which were used for the Doulting Edge Tool Mills which were in operation in the 19th century. The river flows west and then south west down Doulting Hill for a distance of approximately 1000 metres where it is culverted beneath the A361. The river then turns west and passes through the grounds of Charlton House, an early 19th century country house, now a hotel, and on through the Charlton House pond. 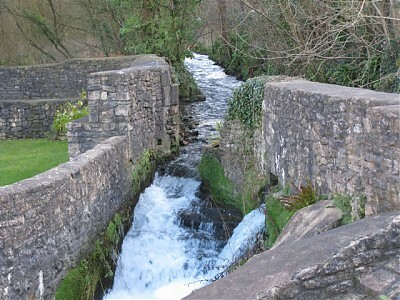 Falling several feet via the pond weir it recrosses the A361 via a single arch masonry bridge, lined internally with bricks. Continuing in a westerly direction it passes through the site of the old Charlton Brewery, now a business park which still retains the mill pond. From the mill pond the river is culverted and flows beneath ground for a distance of approx 170 metres before emerging on the western side of Charlton Industrial Estate. 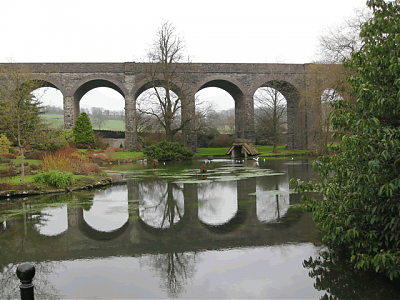 It passes beneath the Charlton Viaduct and through the grounds of Kilver Court via a series of mill ponds. By the time it passes beneath the A37 the river has travelled a distance of approx 2.4 kilometres(1.5 miles). From lower Darshill Mill the river crosses the A371 Wells Road and then follows the line of the road past the Shepton Mallet Sewage Works until it recrosses the A371 at Shepton Road bridge. Much of this part of the river's travels, a distance of approximately 800 metres, is via stone wall channels. 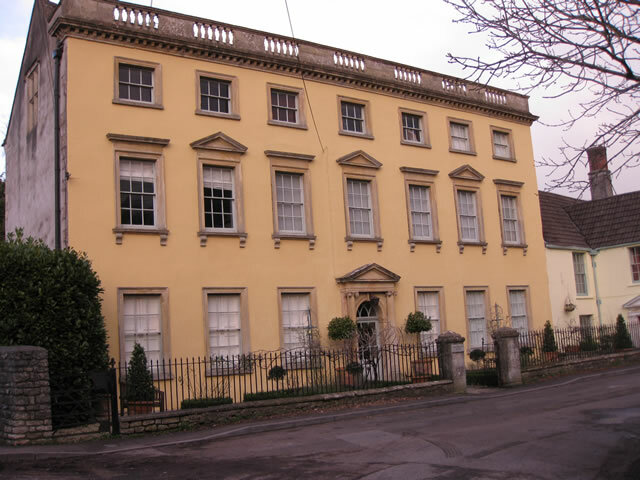 Having crossed the A371 the river flows in a northerly direction past the site of the old Higher Croscombe Mills before changing again to a westerly course past the site of Croscombe Middle Mill. 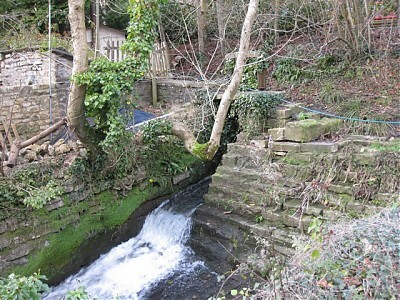 It then flows beneath Folly Bridge to Croscombe Top Mill and then beneath it's medieval skew bridge. It then crosses the A371 and travels a short distance to Croscombe Middle Mill Weir where it returns to the other side of the A371. The river's journey to Townsend, where it agains crosses the A371, takes it past the site of an old fulling mill at Crowcombe Mill Garage. Approximately 200 metres of this part of the river's journey is culverted. From Townend Bridge, a Stead reinforced concrete structure, the river flows westerly past Crowcombe Sewage Works to Dinder Road bridge. The journey so far is approximately 4.75 miles. A short distance beyond Dulcote Bridge the river changes to a south westerly flow passing beneath the disused railway before meandering on and then a long straight to Woodford Bridge. Journey so far is now just on 8 miles. The river continues flowing beneath the Glastonbury Road Bridge to its join with the Keward Brook and then on Burcott Lane Bridge at Coxley. From Coxley the river continues to Melsbury where the direction of flow changes to North Westerly. Journey so far is now 9.5 miles. After flowing beneath Swanshard Bridge and Fenny Castle House Bridge the river changes direction again to the south west to the join with Ash Hay drain and then south through Ash Moor. After approx 350 metres it turns north westerly past Shutts Farm and then to a southerly direction past North Moor to the join with the Frogmore Ryhne. Journey so far is now 13.25 miles. From Frogmore Rhyne the river passes beneath Garslade Farm bridge, turning south west to Nine Acre bridge where the river turns to the west. It travels through Upper Godney to Willow Farm bridge, through Godney to join with the James Wear River and the Decoy Rhyne at Lower Godney. Journey so far is now 15 miles. At this point the river is channeled partly into the James Wear River and the Decoy Rhyne. James Wear River continues in a westerly direction for a distance of 1.25 miles to join with Whites River which then after 600 metres joins with the River Brue. The Decoy Rhyne flows to the north west before turning westerly and south westerly to join with Whites River after a distance of 1.6 miles and then onto join the River Brue.